"Great job, nice lads, very professional, tidy and courteous. Highly recommend and will use again definitely"
"Amazing! Extremely polite, extremely professional, extremely impressive work. As an O.A.P. I feel vulnerable but Matt made me feel at ease and he proved very trustworthy! I would recommend." 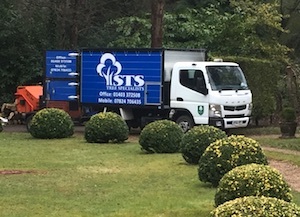 "We were extremely pleased with work done by STS and are happy to recommend"
We are an ARB Approved Contractor which is a recognised benchmark for arboricultural contracting throughout the UK being independently accredited by the UK's Arboricultural Association.